Malayalam film industry has been very selective in deciding the release date of their films. 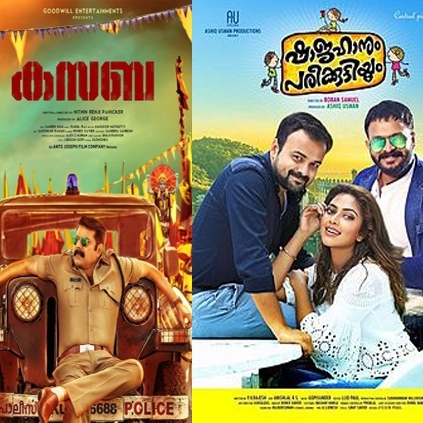 Surprisingly, this year’s Ramzan, which falls on 7th of July, will have four releases, which is a big number, as far as Mollywood is concerned. Megastar Mammootty’s action cop thriller Kasaba is said to be the front runner, while other films too have good names in their cast, such as Manju Warrier, Anoop Menon, Jayasurya, Amala Paul, Biju Menon and others. People looking for online information on Amala Paul, Kasaba, Mammootty will find this news story useful.